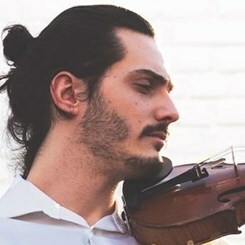 Joseph Taylor violinist and teacher in the Richmond VA. area has over 5 years teaching experience with students of all ages. In addition to instruction on violin and viola he has also taught piano and general music as part of an after school enrichment program. He received a Bachelor of Music in Music Composition form The Catholic University of America’s Benjamin T. Rome School of Music in Washington, DC and his Associates in Music Education from Hagerstown Community College in Hagerstown, MD. He has performed in the CUA symphony Orchestra and the Shepherd University Symphony Orchestra.